This groundbreaking book, a Pulitzer Prize finalist and New York Times notable pick, rattled the psychological establishment when it was first published in 1998 by claiming that parents have little impact on their children's development. 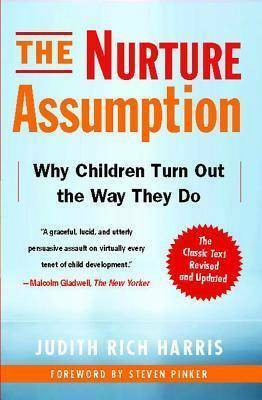 In this tenth anniversary edition of The Nurture Assumption, Judith Harris has updated material throughout and provided a fresh introduction. Combining insights from psychology, sociology, anthropology, primatology, and evolutionary biology, she explains how and why the tendency of children to take cues from their peers works to their evolutionary advantage. This electrifying book explodes many of our unquestioned beliefs about children and parents and gives us a radically new view of childhood.